The Side Oven Bakery, based in Foston on the Wolds, East Yorkshire are once again opening their gates to the public for their popular annual Winter Wildlife Walks Open Day in partnership with the Yorkshire Wildlife Trust. 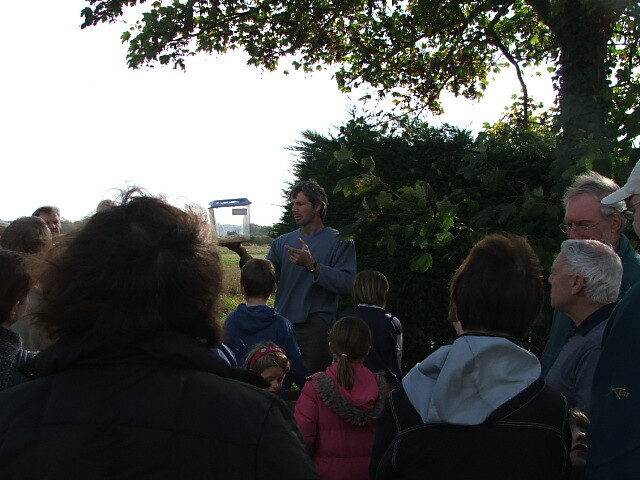 The event, which will take place on Sunday 3rd February between 10-3pm, is free to attend and will include guided wildlife walks around the organic arable farm where the bakery is based. The Yorkshire Wildlife Trust will also be hosting an interactive owl information stand, with box designs, owl pellets and general information about the different species of owl that live in the local area. Staff will be on hand to answer questions about owls and any wider wildlife queries that visitors may have. Suitable for all ages, the walks will set off at 10:30am and 1:30pm from the meeting point at the bakery, with each taking approximately 1 – 1 ½ hours and cover between 1.5 – 2 miles. The ground conditions will be wet under foot and most of it is on grassed margins, so good outdoor footwear will be needed. The Side Oven Bakery will be serving hot refreshments throughout the day and there will be a wide range of freshly baked speciality breads, croissant, cakes and other produce for sale.